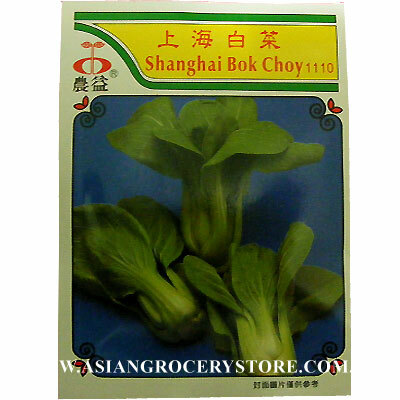 Minimum quantity for "Mirana Brassica Chinensis - Shanghai Bok Choy Seeds" is 1. Dwarf pai tsai variety with green leaf and green stem. Oval shape green leaf with green spoon - liked stem. Whole plant is tender to eat. Sow: Grow all year round.A light well - drained & well fertilised soil is essental. Thrives in rich loamy soil. Scatter seeds on garden beds, covered with a layer of soil, then a layer of compost.When plants reach 6 cm in height, start thinning process for food. Pay attention to watering as this plant only has thin short roots. Above Picture on this packet is a general guide only. Due to different countries of origin and cultivar, the end product minght not be excactly the same.